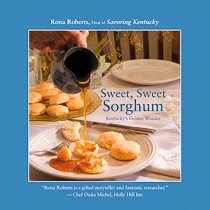 It's well written, and mostly accurate, we think: Sorghum Seeing Success As Southern Foods Get Hot. We might quibble with the "what's lost is found" trope, given that sorghum never left the table for thousands of families in the upper south and the lower midwest. But we agree that sorghum is spreading. And that's good for eaters and growers. Hat tip CSP.